Traditional Chinese Medicine (TCM) is a complete medical system that has been used to diagnose disease and promote health and a sense of well-being for thousands of years. This system was originally developed in China, and because of its proven effectiveness, it is now available world-wide. 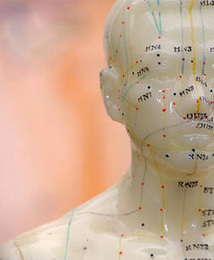 Since Traditional Chinese Medicine is a medical system that stands on its own, it is difficult to put its theories in Western medicine terms. Because TCM has its own system of medical terminology – used to describe illness and treatment techniques – it is also difficult to explain the logic of how it works without using its own terminology. Fortunately, the Western world has been able to recognize the effectiveness of TCM treatments even if it hasn’t fully understood how it works. You have probably noticed that medical doctors use different ways to treat and diagnose their patients. If you break a bone, an orthopedic doctor will be called in to reset the broken bone. If you have chest pain, a doctor may order an EKG to make sure your heart is functioning properly. If you have an ear infection, your doctor may prescribe antibiotic pills that will kill the bacteria. Similarly, Traditional Chinese Medicine (TCM) is comprised of several treatment modalities which your licensed acupuncturist may use to better address your personal needs.